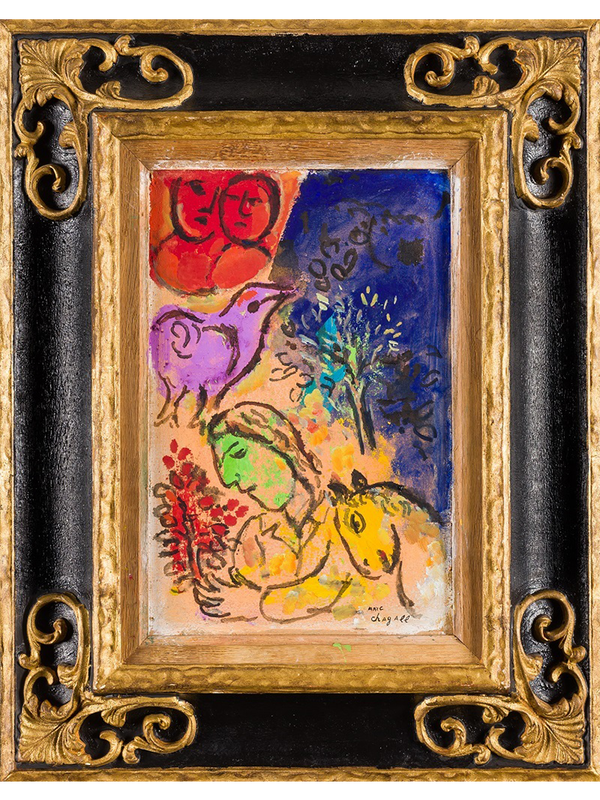 From Flemish Masters to Marc Chagall, check out Barnebys top picks from Ansorena's sale on September 28-30. Flemish Masters embellished the royal palaces of Europe for centuries and Pieter Brueghel the Elder was one of the 4 Flemish painting geniuses, whilst his son Jan Brueghel was a prolific writer of the representation of landscapes and flowers. In San Francisco receiving the stigmata, the figure of Saint is completely framed by the mountainous landscape with a brilliant blue sky giving the paint its other-wordly qualities. Joachim Beuckelaer was nephew and pupil of Pieter Aertsen. From Aertsen's teaching he perfected decorative painting style. Beuckelaer works represents the then new taste for detailed still lifes which are now associated with artwork of the Netherlands from this time period. 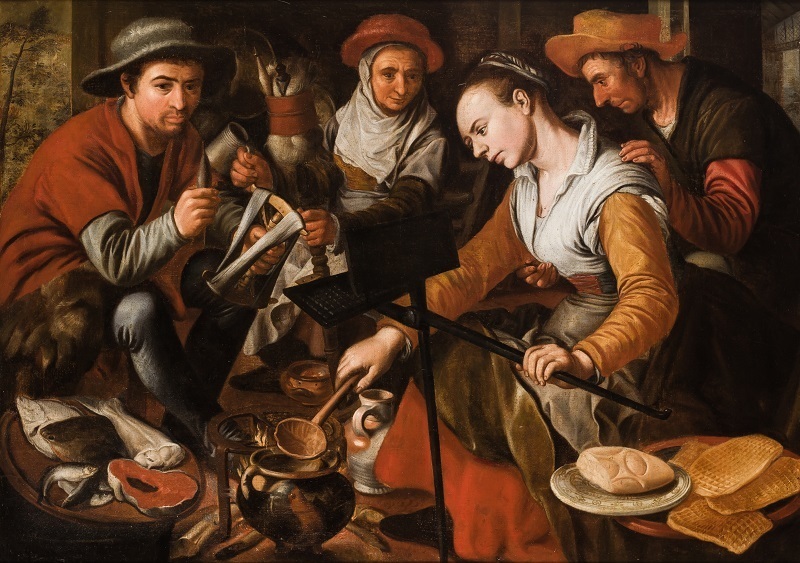 In Flemish cuisine scene we see several well-known motifs of Dutch life, such as the cook preparing waffles. Studies published by the Professor Fernando Benito Doménech about Vicente Macip and his son Juan de Juanes, indicate that this painting is the work of Vicente Macip, otherwise known as the Maestro de Cabanyes in his first artistic period. The work dates from about 1530, a more mature time in his career. This work by Jenaro Pérez Villamil; one of Spain's important Romantic landscape artists, is dated to 1839-40, during the time he spent in Toledo. 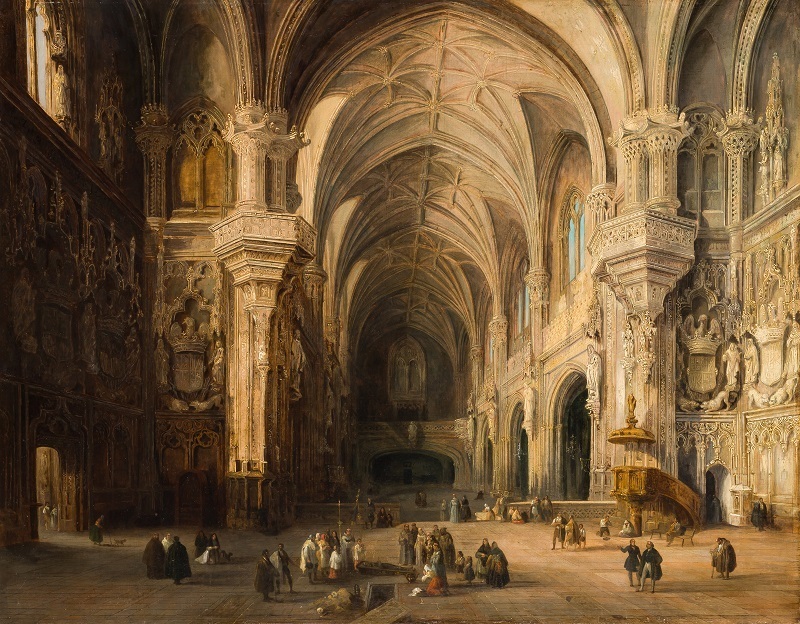 These interior scenes are very characteristic of his work, which shows a detailed interpretation of reality as well as a perspective influenced by his studio lights, a trait typical of the romantic period. Marc Chagall combined influences from his time spent in St. Petersburg, Paris, Vitebsk (Belarus) his hometown, Moscow and the United States. 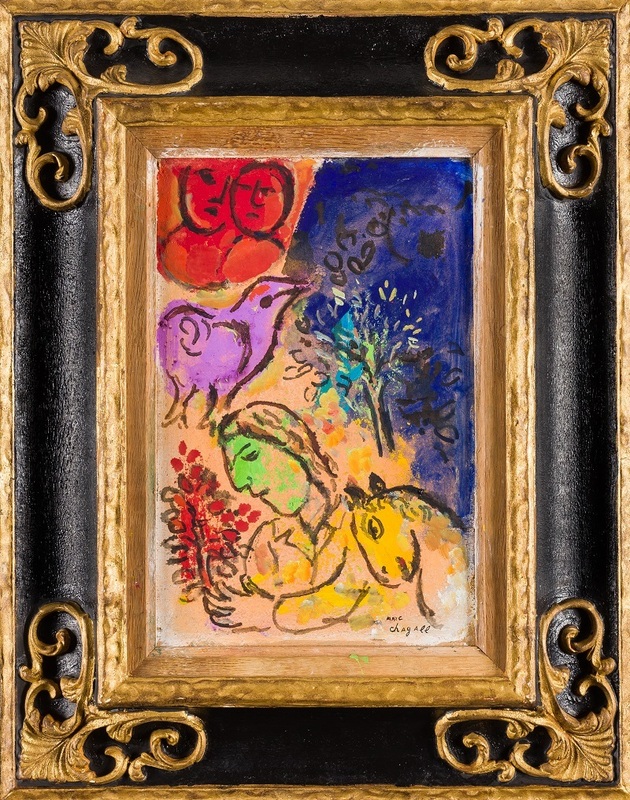 Marc Chagall played with many modernist styles throughout his career, including cubism and surrealism.